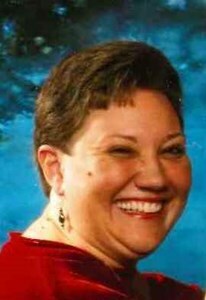 Newcomer Family Obituaries - Malissa A. Hutchison 1972 - 2018 - Newcomer Cremations, Funerals & Receptions. Malissa Ann Hutchison (Tate), 46, passed away on December 2, 2018 at home surrounded by her family after a five year battle with breast cancer. Malissa was born on November 2, 1972 in Akron, Ohio, where she lived for most of her life. A graduate of East High School, she worked 11 years as a personnel and training coordinator for Walmart in Brimfield, Ohio. Malissa met and instantly loved Thomas Hutchison. They were married on November 1, 2002. Together they were the loving parents to seven furbabies: Bridget, Bonnie, Clyde, Elvis, Sammy, Hunter, and Savannah. After her initial cancer diagnosis, Malissa combined her love of baking with her lifelong passion for helping others to begin fundraising for the American Cancer Society through Relay for Life. She coordinated many bake sales and Nights at the Races events. Malissa was a member of the Mogadore VFW Auxiliary, contributing monthly to their bake sale. Always a fighter, Malissa continued working throughout her chemotherapy and radiation treatment. She was an inspiration to us all and will be solely missed. She was preceded in death by her grandparents, George "Farmer" Kolaida and Alma Kolaida (Miller), and father, William Tate Sr.
She leaves alive to keep her loving spirit, husband, Thomas Hutchison; mother, Barbara Holbert; siblings, William Tate Jr., Cynthia Eagle, Tracy Beal, and Brandy Holbert; adopted parents, Dale and Linda Conner; sisters-in-law, Lynette Hutchison and Mary (James) Hodgson; best friend of 40 years, Shonda Watson; god-daughters, Blake and Mary Williams; and a host of nieces, nephews, and friends. A memorial visitation will take place on December 12, 2018 from 4pm until 6pm at Newcomer 131 N. Canton Rd., Akron. Reception will be held immediately following the visitation at Brimfield Family Restaurant 1198 Tallmadge Rd., Kent, OH. Malissa's final resting place will be the Hutchison Cemetery in Cottontree (Roane County) West Virgina. The family would like to extended special thanks to Dr. Lu and Kris at Akron General Cancer Center, and the girls of hospice for their wonderful care and support. In lieu of flowers, Malissa requested donations to be made in her memory to the American Cancer Society of Tallmadge - Relay for Life - Walmart Warriors. Add your memories to the guest book of Malissa Hutchison. Malissa always made my day with her smile and laugh. I know she is looking down on all of us. Missy truly was an inspiration and amazing Women. I watched her grow into this Women from a young girl. Malissa was an inspiration to us all. Her smile reminded me of my Melissa, they both kept smiling through their cancer battles. She will continue to inspire me to raise money and awareness towards ending cancer. Tom I am truly sorry for your pain and if you need anything please let me know brother. Thoughts and Prayers go out to you and your family. Sincerely Big Jim "One Man Team"
We are sorry to learn of Malissa’s passing. Please accept our sincere sympathy. Malissa and I worked together, played together, fought and loved each other to the moon. I shall miss her deeply every single day. I have had the sincere privilege of meeting and becoming friends with her husband Tom. I find comfort in knowing Malissa will not feel anymore pain and will finally have peace. My deepest sympathies to you Tom for your loss. Know that Malissa will take care of us from above. Malissa was one of my volunteers from my relay for life of tallmadge event. I’ll never forget the first time I met her at a committee meeting. She had this huge smile on her face and welcomed me with a big hug. As she was telling me her cancer story, she continued to have a smile on her face. That is what i will always remember about her. One of the kindest people I ever had the pleasure of knowing. If anyone had a right to complain it would have been her, but in the 4 years of knowing Malissa I never once heard her complain. Your Relay family will miss you ??? ?